The Hall Art Foundation is pleased to announce, Made in Vermont, a group exhibition of new and recently completed work by Vermont artists to be held in its galleries in Reading, Vermont from 12 May - 25 November 2018. Including paintings, works on paper and sculpture by Mark Barry, Mildred Beltré, Patrick Dunfey, Terry Ekasala, Richard Jacobs, Sara Katz and Joseph Wheelwright, this show spotlights artists who are making innovative, fresh, and sometimes challenging work, while living and working in Vermont. Mildred Beltré is a multi-disciplinary artist interested in grassroots, social justice political movements, their associated participants, structures, and how those ideas affect social relations. Beltré’s Black Brown Shine (2016) was included in the group exhibition Seen and Heard held at the Everson Museum, in Syracuse, NY in 2017. In celebration of the one hundredth anniversary of the passage of women’s suffrage in New York State, Seen and Heard explored the use of the arts as a catalyst for social change. In Black Brown Shine (2016), Beltré employs word play and the formal language of cross-stitch and quilts. Patrick Dunfey’s Knot (2017) comes from a series of large works on paper the artist completed soon after moving into a spacious studio in White River Junction. Dunfey describes his creative process as being “fueled by music, writing, and history." Painted in tempera and pigmented gesso on heavy watercolor paper made in England, the work’s tight composition, simplified lines and flattened perspective imbues it with a graphic and abstract quality. 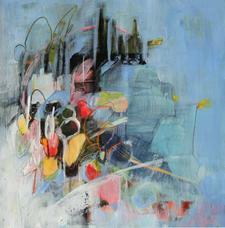 Terry Ekasala creates expressive, abstract paintings that border on representation. 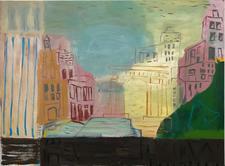 Richard Jacobs’ recent paintings are a blend of figuration and abstraction. In works like Tortoise and Hare, Jacobs spends years layering complex compositions. Vibrant shapes are painted in high-keyed tones and set against a neutral ground – creating an energetic sense of depth and movement. The title Tortoise and Hare is a metaphor for the struggle between fast gesture and slow contemplation, which compete in the artist’s process. Having grown up in Cabot, Vermont working at her family’s vegetable farm and nursery, Sara Katz’s paintings are influenced by her agricultural background and an interest in the overlapping natural and man-made worlds. Inspired by her environment, mark making and color drive her painting practice. Joseph Wheelwright was a master carver of stones, trees, bones and other natural materials. While he is well known for producing monumental outdoor sculptures, Wheelwright also created a number of highly imaginative and evocative smaller scale works in bronze and stone. 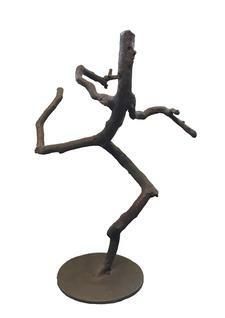 The anthropomorphic bronze figures, Tree Family (2009), Running Man (2013) and Dog (2013) were cast from roots, twigs and tree branches. Cratered Moon (2013) comes from a series of bronze sculptures inspired by a group of 28 conte crayon drawings Wheelwright made of the moon, beginning with one that looked like his newborn daughter. Please direct sales inquiries to vermont@hallartfoundation.org or + 1 802 952 1056. Mark Barry (b. 1955) received his Bachelor of Fine Arts from the Swain School of Design (now the University of Massachusetts at Dartmouth) and pursued graduate studies at Brooklyn College and Johns Hopkins University. His work can be found in numerous private and public collections around the country, including National City Bank, Louisville, Kentucky; Baltimore Museum of Art, Baltimore, Maryland; and The Baltimore Sun, Baltimore, Maryland, among others. Most recently, a solo exhibition of Barry’s work was held at the Bennington Museum (2016). Mark Barry currently lives and works in North Bennington, Vermont. Mildred Beltré (b. 1969) completed undergraduate work in art and anthropology at Carleton College in Northfield, Minnesota and received her M.F.A from the University of Iowa. Most recently, solo shows of her work have been held at the Eli Marsh Gallery at Amherst College in Amherst, MA (2015); Burlington City Arts, Burlington, VT (2014); at the University of Colorado in Boulder, CO (2013); and at the Five Myles Gallery in Brooklyn, NY (2012). Her work has also been included in important group shows at BRIC Arts in Brooklyn, NY (2017, 2016); Santa Fe Art Institute in Santa Fe, NM (2017); Everson Museum, Syracuse, NY (2017); Burlington City Arts in Burlington, VT (2017); and at the International Print Center in New York City (2016, 2015, 2013), among others. Her work can be found in the permanent collections of the Brooklyn Museum, Brooklyn, NY and the Walker Art Center, Minneapolis, MN among others. She has been awarded residencies at the Lower East Side Printshop, the Vermont Studio Center, at New York University, and at the Santa Fe Arts Institute. She has received grants from the New York Foundation for the Arts in Prints/Drawings and Artist Books, the Brooklyn Arts Council and the Citizen’s Committee for New York City, Rema Hort Foundation and the Brooklyn Foundation. Beltré is the co-founder of the Brooklyn Hi-Art! Machine, an ongoing socially engaged collaborative art project in Crown Heights, Brooklyn that addresses gentrification and community building through art-making. She has worked as a teaching artist for various New York City institutions including El Museo del Barrio, Cooper Union, Henry Street Settlement, Harborview Art Center, NYCHA and the Manhattan Graphics Center. 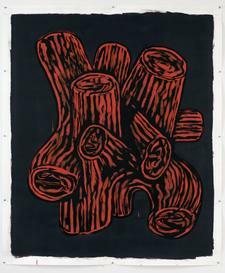 Currently, Beltré is an Associate Professor in drawing and printmaking at the University of Vermont. Patrick Dunfey (b. 1957) received his Bachelor of Fine Arts in painting from the Rhode Island School of Design in Providence, Rhode Island. His work can be found in numerous private and public collections nationwide, including the Ackland Museum of Art, University of North Carolina at Chapel Hill, NC; Bowdoin College Museum of Art, Brunswick, ME; and Currier Museum of Art, Manchester, NH, among others. Dunfey is Head of Exhibitions Design and Planning at the Hood Museum of Art at Dartmouth College. A solo exhibition of his work was held at White River Gallery @ BALE in South Royalton, VT last summer, and his work is included in the group exhibition Turn of Thought at Edward Thorp Gallery in New York City, running from April 26—June 2, 2018. Dunfey’s studio is in White River Junction. Terry Ekasala (b. 1962) received her undergraduate degree from the Art Institute in Ft. Lauderdale, Florida. Before moving to the Northeast Kingdom in 2001, Ekasala lived in Miami Beach and Paris. Her work has been exhibited widely in Paris, Berlin and New York. Most recently, solo presentations of her work have been held at Catamount Arts in St. Johnsbury (2016), Burlington City Arts (2014), with Metalstone Gallery in New York City (2003, 2005), and at Matter & Light in Boston (2017). 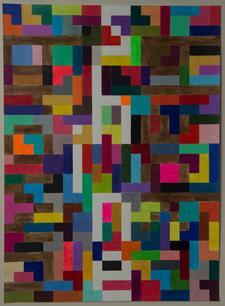 Her work can be found in numerous private collections. 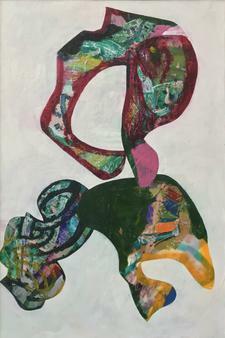 Ekasala now resides in East Burke with her family, continuing to work on large and small abstracts in what she calls a dream studio in nearby West Burke. Richard Jacobs (b. 1961) received a Bachelor of Arts from The Cooper Union in New York and a Master of Fine Arts from Yale University in New Haven, CT. He is the recipient of a Henry Luce Scholarship, and his work is represented in private and public collections including the Museum of Fine Arts Boston, the deCordova Museum and Sculpture Park, and the Rose Art Museum. 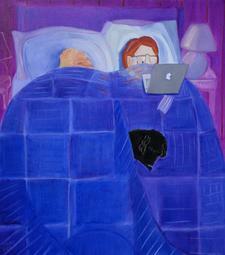 Jacobs currently lives and works in Putney, Vermont. Sara Katz (b. 1977) received her undergraduate degree from Skidmore College in Saratoga Springs, NY. Her work can be found in collections throughout the country and she has been frequently commissioned to complete large-scale works. Katz currently serves as the Assistant Director at Burlington City Arts. She lives and works in North Ferrisburgh, Vermont. Joseph Wheelwright (1948 - 2016) received his Bachelor of Arts from Yale University in New Haven, CT and his Master of Fine Arts from the Rhode Island School of Design in Providence, RI. Solo exhibitions of his work have been held at the Hargate Art Center, Concord, NH; Boston’s Sculptor’s Gallery, Boston, MA; the Katonah Museum, Katonah, NY; Fruitlands Museum, Harvard, MA; deCordova Museum and Sculpture Park, Lincoln, MA. (2003); and at Allan Stone Gallery, among others. His work can be found in public and private collections around the country. He co-founded the Boston Sculptors Gallery and the Humphreys Street Studios, two important collaboratives for local artists. He lived and worked in Boston and East Corinth, Vermont, where he maintained a foundry. The Hall Art Foundation in Reading, Vermont is open weekends by appointment.